Remembering Meena Kamal: Hope Is The Thing With Feathers. Hope is the thing with feathers, Emily Dickinson wrote a long time ago. Where does it fly nowadays, does it keep its eyes on Afghanistan? Last night I read poems by Meena Keshwar Kamal (commonly known as Meena). I wanted to type something about Meena right away, but then decided it would be better to do it in the morning, to let her poems stay with me for a while, in the stillness of the night. 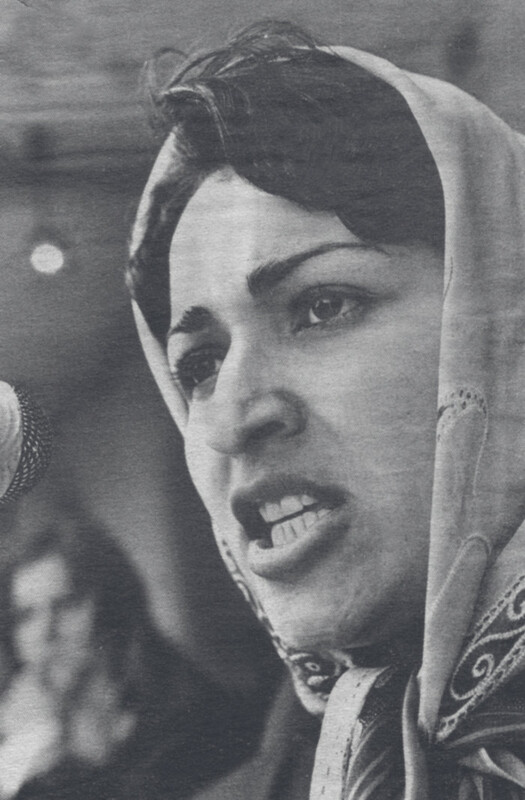 Meena was an Afghan revolutionary political activist, feminist and founder of Revolutionary Association of the Women of Afghanistan (RAWA). She was only 20 when, in 1977, she launched RAWA, Afghanistan’s first organized movement for women’s rights. Four years later, Meena launched a bilingual feminist magazine called Payam-e-Zan (Women’s Message). 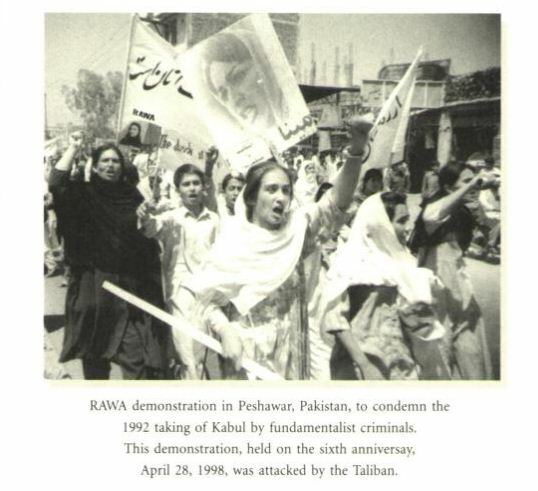 In the beginnings with RAWA, Meena started a campaign against the Russian forces and their puppet regime in 1979 and organized numerous processions and meetings in schools, colleges and Kabul University to mobilize public opinion. Payam-e-Zan has constantly exposed the criminal nature of fundamentalist groups. 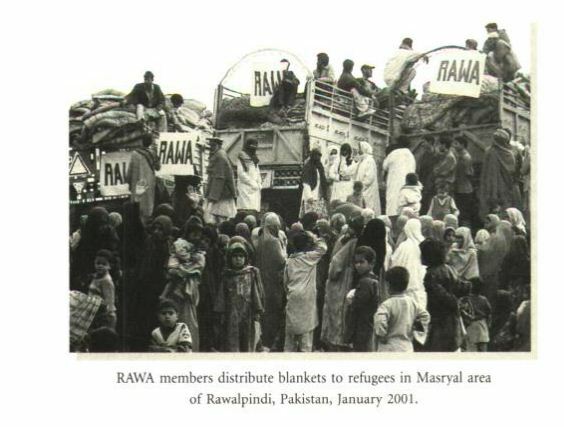 Meena also established Watan Schools for refugee children, a hospital and handicraft centers for refugee women in Pakistan to support Afghan women financially. 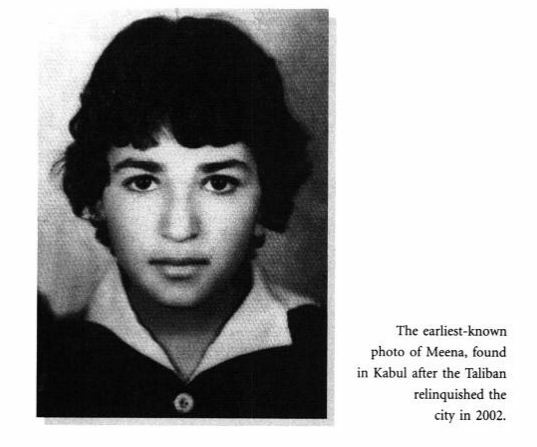 Sadly, when she was only 31, Meena was assassinated by agents of KHAD (Afghanistan branch of KGB) in Pakistan in 1987. She was married to Afghanistan Liberation Organization leader Faiz Ahmad, who himself was assassinated a year earlier, by the agents of Gulbuddin Hekmatyar in 1986. They have three children, whose whereabouts are unknown. 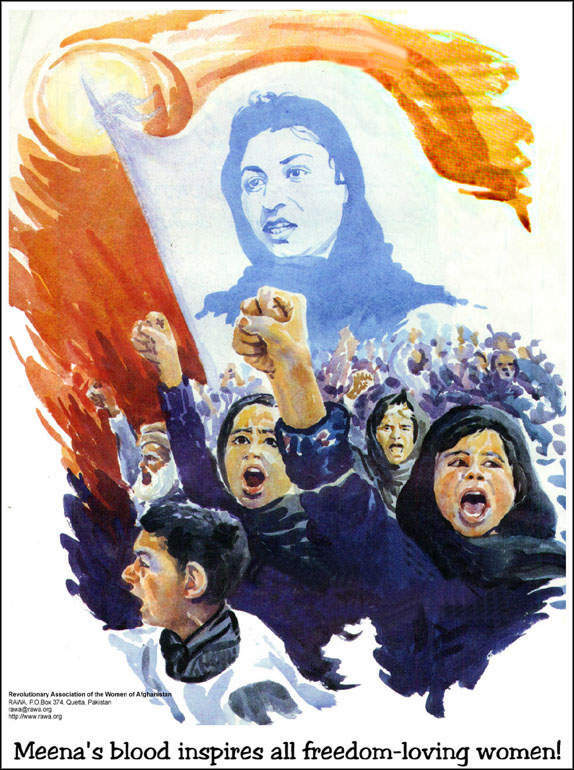 Meena represented the struggle Middle East needs the most – the liberation from within. Not some Western forces coming to “liberate” or to “establish a democracy”, but a true change that can never be achieved by imposing it from the outside. She spoke about the history of Afghan women’s struggle for social recognition and equal rights in connection to the history of the country’s physical and cultural devastation (by different invasions and wars). She connected the two, which is what Western mainstream media so often fails to do. Women from RAWA are doing great things and helping many people. In that sense, all those images we see of helpless and abused Afghan women in the Western media, obuscure the great role Afghan women play as agents of change in Afghanistan, and have been playing for the last couple of decades. It’s not just RAWA and Meena. One of the things that first comes to my mind is the story of the village widowed women built on a hill overlooking Kabul. Or the story of women’s bakery in a small village in rural Afghanistan. Or the story of Shamsia Hassani, Afghanistan’s first female street artist. Or the story of Setara, singer who appeared on the Afghan Star, sang with great emotion, and included dance in her final performance, an action that put her life in danger. Or the story of Sadaf Rahimi, first female boxer in Afghan national team, who was invited to London Olympics in 2012 (at the age of 17). There’s many stories like this, and there will be many more, because the women of Afghanistan are not just oppressed, abused and broken, but powerful, brave and active. Like Meena was. Hope, that thing with feathers Dickinson wrote about, still keeps so many warm, and never stops – at all. → Remembering Nadia Anjuman: One Day, My Hands Will Become Weavers. ← (Interview) From The Sky: The Story of Drones and Resistance. Pingback: Meena 1957-1987 - sister-hood magazine. A Fuuse production by Deeyah Khan.